Beautiful image and colors...loved your bio, a true expression of grace received and flowing like living water. Thank you, Carol. Sad thing is that we drive by scenes like this so often without a second thought. Beautiful colours in this image. Voted. Hello Bhvinder. I'm glad you enjoyed this image. Interesting what one finds by just wandering around. Thank you, Donna. I love the road less traveled. Debra / Dave - thank you for the feature in "Barns Big and Small" and for your efforts in administering this group. Beautiful photograph, has mystic tone to it! Thank you, Thomas, for your kind thoughts. I'm glad you enjoy the image. 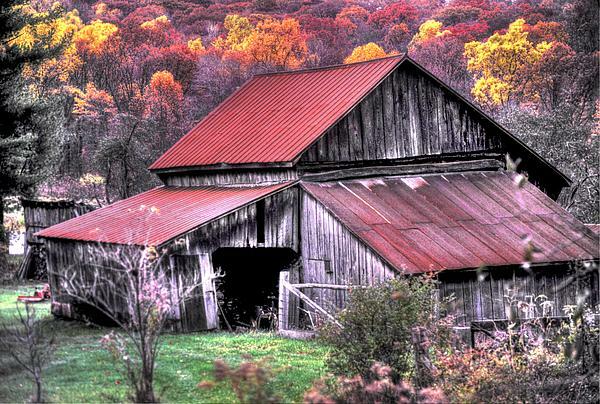 Lovely colorful country barn scene, Michael. f/v. Thank you, Julie. One of the lessons I have learned along the way is not to give up on looking for opportunities in the fall, even though the glitzy explosion of peak color has passed by. Thanks for the encouragement. Thank you, folks. I'm grateful to you for your kind words. Autumn scenes don't always have to be an explosion of color, do they? Thank you, Scott. An image from many years ago, but one that brings back fond memories of annual autumn camera outings and just drivin' around. Thank you, Kathy. There's no misleading advertising when it's referred to as "wild and wonderful". I'm grateful for your encouragement. 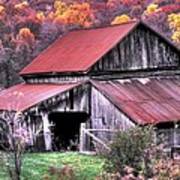 A weathered, but still working West Virginia barn stands alongside the waning colors of autumn fixing to see what yet another winter will bring and take. 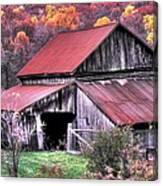 Image = WV Country Roads Barn 1-A NS1A-C E-M B-10 M-7 P-5.jpg. COPYRIGHT NOTICE: All of the photographs on this web site and my gallery are fully protected by U.S. and international copyright laws. All rights are reserved. These images may not be downloaded, copied, reproduced, printed, manipulated, or used in any way, without the express written permission of Michael D. Mazaika. Unauthorized use will be prosecuted to the full extent of U.S. Copyright Law.